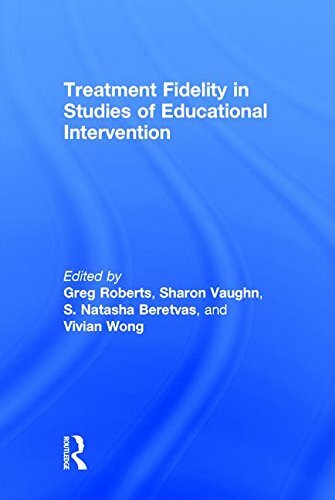 Treatment Fidelity in Studies of Educational Intervention is a detailed guide to the increasing emphasis on methodological rigor and implementation fidelity in educational research. A timely contribution to the field, this book offers practical guidance and systematic research on the nature of implementation fidelity in experimental settings, and provides strategies for combining fidelity-related data with other data types to evaluate a programâs impact in schools and other educational settings. With contributions from leading scholars in the area of research methods in education, Treatment Fidelity synthesizes recommendations for current measurement practices, case studies of recent or ongoing research programs, and technical evaluation reports on studies that measure and model fidelity as part of estimating a treatmentâs impact. Intended for scholars, professionals, and graduate students interested in school-based intervention, this volume presents information on how to address implementation in applied research.